Almost 40 percent of the world's populations of lizards are expected to become extinct by 2080, because the earth is warming faster than these populations can adapt. But the new study, published in Proceedings of the National Academy of Science, shows that, to make accurate predictions, these models must include much more data about how shade is distributed in an animal's habitat. "This is a breakthrough paper," according to Raymond Huey, a professor emeritus of biology at the University of Washington. "Scientists studying climate warming will now be forced to evaluate the spatial distribution of sunny-shady patches, and not just compute the fraction of an area that is sunny or shady. "Frankly, that makes our research lives much harder, but also much more interesting." Even a small change in body temperature can dramatically affect an organism's well-being, like when a person's temperature rises one or two degrees. Reptiles, including lizards, regulate their body temperatures by moving between warm and cool areas within their home ranges. It isn't just the relative proportion of warm and cool areas that affects how well a lizard can regulate its temperatures, Huey said, but also how they are distributed in space. 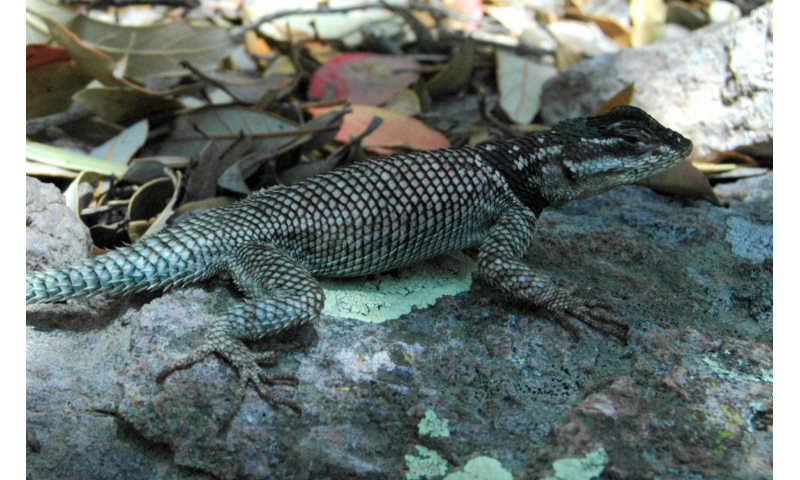 The spiny lizards in the study regulated their temperatures much more efficiently when they had many small patches of shade, which they could easily reach to cool off, instead one large clump of shade in a wide-open space. "Depending on the complexity of the environment, previous estimates of extinction may be too high or they might not be high enough," said Mike Sears, an associate professor of biology at Clemson University and the lead author of the study. "The real fear is that previous research has underestimated the risk of extinction," said Mike Angilletta, a professor at Arizona State University and coauthor of the study. "Most models assume that an animal can be anywhere in its environment at any time, which doesn't account for how much energy an animal spends to regulate its temperature. Animals have to move and search for shade, which makes cooling down more difficult when patches of shade are far apart," Angilletta said. Sears has spent 20 years studying lizards. He says the reptiles are especially suited for climate change studies because "they're like little thermostats running around." What makes this study remarkable, Huey said, is that it tackles three issues at once. "It develops original and highly sophisticated computers simulations of animal movement patterns in complex thermal environments," Huey said. "It adds large-scale experiments of real animal movement patterns in the field. Finally, it shows that climate warming—in realistic thermal landscapes—may have more serious effects than predicted so far." When Sears first questioned the current models, he built a computer simulation to test their assumptions. Digital lizards followed algorithms that regulated body temperatures most efficiently. In the virtual environment, Sears' digital lizards told him how much energy they spent on regulating their body temperatures when shade was either clumped together or spaced apart. When shade was dispersed throughout a simulated environment, the digital lizards were able to regulate their temperatures more efficiently: they required less energy to move from patch to patch. When shade was isolated to one location, the lizards had to move farther away to hunt for food, which required more energy. 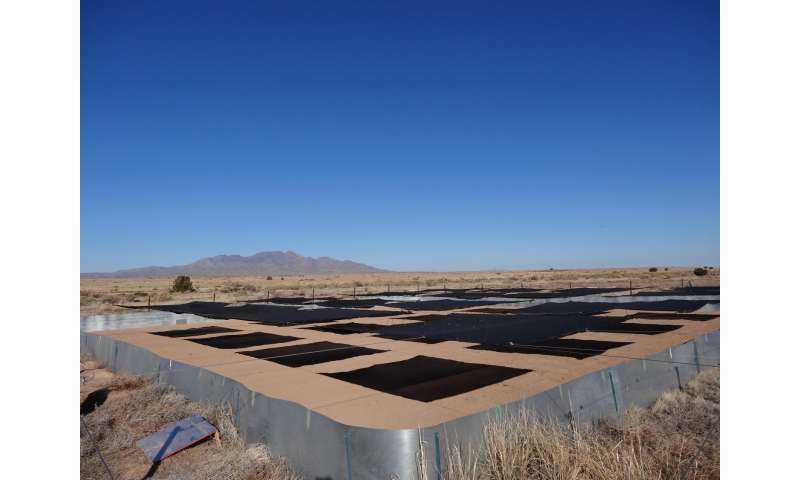 Sears, Angilletta and colleagues from two other universities tested their computer model with real lizards near the University of New Mexico's Sevilleta Field Station, about 80 miles south of Albuquerque, New Mexico. 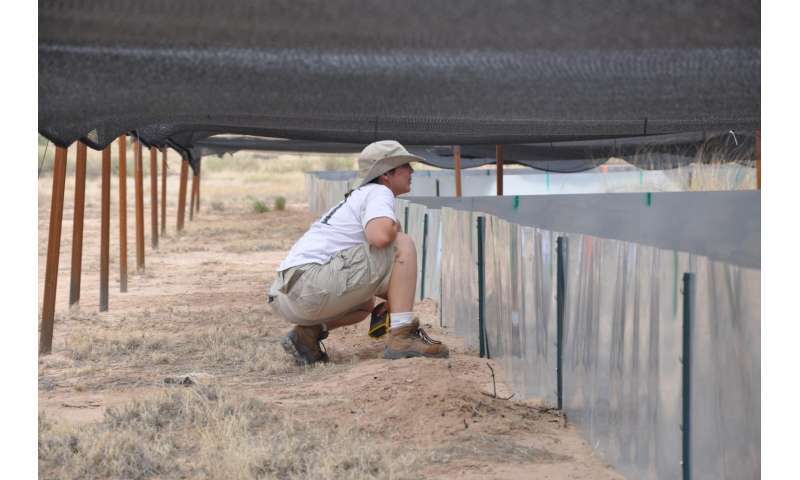 Over two summers, the researchers and their students fenced in nine arenas, each 20 by 20 meters square. To mimic the shade of the simulations, they stretched equal areas of shade cloth over each arena, but arranged the cloth differently—one big clump of shade, four medium-sized patches of shade or 16 small patches. Each group of lizards spent two days in each environment, and their body temperatures were monitored through tiny, surgically implanted sensors. When the lizards were in the arena with one large clump of shade, their temperatures varied 12 percent more than when they were in the arena with four patches of shade, and 10 percent more than when they were in the arena with 16 patches of shade. Thus, more patches mean more careful thermoregulation. The results corresponded to Sears' computer model. In the simulations, digital lizards experienced nine percent more variation in body temperature when shade was provided in one clump compared to either four patches or 16 patches. Huey likened the lizard's behavior to running across a hot, sandy beach in bare feet to get from a parked car to the cool sands by the ocean. "As a young lad, I leaned that spatial distribution of thermal resources mattered," Huey said. "But Sears and colleagues take this theme to a general and sophisticated new level, and show how the distribution of shade patches affects the ability of lizards to use behavior to regulate their body temperatures, and also why an understanding of that distribution will be critical to predicting biological responses to climate warming." The research confirmed Sears' hunch, that global temperatures aren't sufficient for predicting how well species survive. "If we really want to understand how populations of organisms will respond to climate change, we can't use a simple, back-of-the-envelope method," Sears said. "We need to think on a finer scale than we have been." the greening of the Earth. Rising CO2 also has its fair share of negatives. in those very grains has decreased. in the midwest...is good and bad as well. More greening means less ice and snow to Reflect solar radiation. Increasing the Rate & the Threats of CLIMATE CHANGE !! & it's resulting Climate Changes and the threat from it. are available in every country! More research confirming scientists didn't know what they thought they knew about the climate's effects on earth. Gosh, based on the articles in Phys.org, I'd have to conclude that much of our research is directed by politicians looking for control and cash, instead of businessmen, engineers and scientists who seek to help others. Too bad the government has taken all that money and chosen to direct it to gaining more control over us, rather than allowing us to keep it and direct it toward research that helps others (as measured by the business potential). There's no telling what discoveries have not been discovered as a result, but I bet private research is far more beneficial than government directed research.